Nintendo is bringing its World Championships event back from the dead for this year's E3, and this relic from the past has attracted the attention of another part of Nintendo's history - the actor-turned-director Fred Savage. Savage was arguably the world's biggest child star when he appeared in The Wizard, a 1989 Hollywood movie which saw two siblings travelling across America to attend a video game competition focused exclusively on Nintendo games. Oh, and it also marked the Western début of the Power Glove and Super Mario Bros. 3. Amazingly, despite all these facts, The Wizard was a commercial flop, but in recent years has attained a cult status among Nintendo fans. Like the NWC, it recently turned 25. Of course it's a humorous little comment which alludes to the plot of the aforementioned movie, but we wouldn't bet against Savage making an appearance during the NWC event at this year's E3. After all, Nintendo isn't above having a little fun with its history and this would be quite an event, especially for those who remember watching the film 25 years ago, either at the cinema or on VHS. I have actually yet to see this movie, but I appreciate his humor towards the event! I love ... the Power Glove. I hope he and the cast will show up! That would be so awesome! If Jenny Lewis plays a concert there I will buy a ticket and fly there immediately. @ericwithcheese2 it's so bad it's good. I wanna watch this again now! I've never seen the Wizard, although I've watched a few retrospective videos on it. I wonder if they would reveal a Super Mario Bros 4... or maybe more Mario Maker features. I love that movie! IMO, it's the best Nintendo related movie....although there's not much competition. If this movie taught me anything, it's that the Power Glove is so bad. I didn't watch the movie until a couple of years ago on Netflix instant watch lol! Reveal the newest controller! The Power Glove U! That was such a strange and awesome time to be a kid back then. I still will take The Wizard any day over the horrible Super Mario Bros Movie. This article should be file under "Awesomeness" instead of "Weirdness"
Oh wow, the wizard looks great. I have to watch it as soon as possible. They need to get most of the cast of the wizard to attend this event! Loved this movie. I had a kid-crush on the girl who played Haley. Then grew up to have a crush on the lead singer of Rilo Kiley without realizing they were both Jenny Lewis. I just watched the movie this morning. "Where is the Nintendo World Championships being held?" Ah, the golden years of Nintendo; I'm so proud to have been alive and gaming during that era. Get right on this, Nintendo, and make it happen. If only for the sheer nostalgia fun factor of it alone. 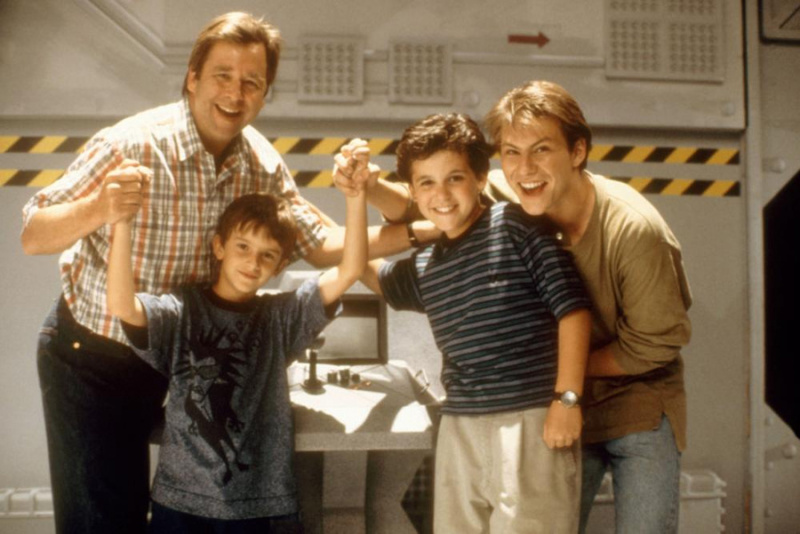 In fact; you should try to get most of the cast of the movie back for a wee reunion, including "I love the Power Glove. It's so bad!" - Lucas. I watched it for the first time a few years ago, and while corny, I enjoyed it (more so than the SMB movie...). @HollywoodHogan He seems busy directing episodes of Modern Family and 2 Broke Girls. I remember the Wizard. One thing that really pissed me off is that Mario 3, which "had never been seen or played before" was the final game, and the kid somehow knows to hold down on the white block to find the magic whistle. IT WAS BS! @OneBagTravel That's what you get for worshipping teh Power Glove! I had this movie on VHS and I think the tape broke from watching it so much. Wii U Power Glove coming (gets more use than the Gamepad). Ninetendo! at Starbucks my good friend! The thing I really love about this movie is how even if you remove the gaming element it's still a solid story about a family. And I enjoyed getting the little Nintendo Power issue they handed out when you went to see it. I love The Wizard. It's so bad. @HollywoodHogan And what's your point? That he has a job? That he may want more money? Like everyone else. A lot of people hated this movie, but I really don't understand why. The bulk of the film has nothing to do with video games; that's just how it was marketed. Fred Savage's character was trying to prevent his autistic brother from being committed, and the games were to prove how smart he really was. There was lots of comedy and heart in the film, plus a surprise twist for why Jimmy himself (the younger brother) was so determined to reach California. @BulkSlash While the line itself was shocking for its time, what made that scene work was seeing Putnam literally carried out the door by cops. Later, they paid it off further by having three truckers beat up Putnam.